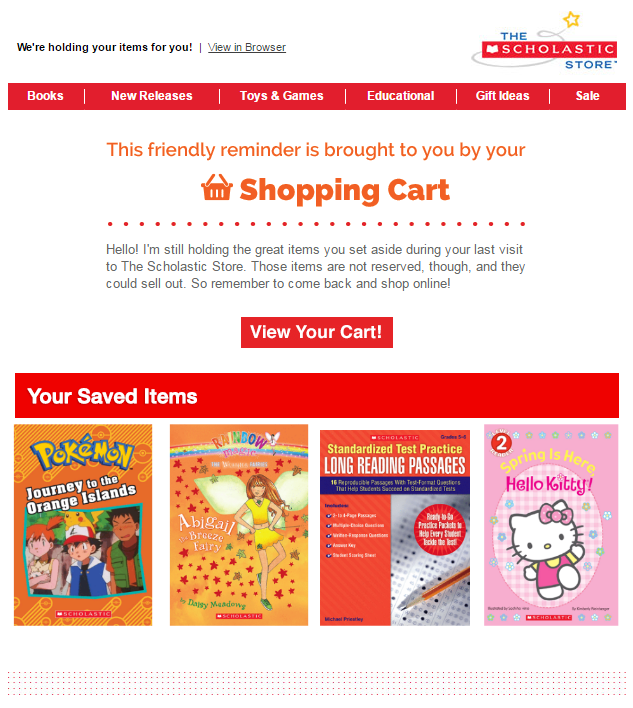 Scholastic needed to reach out to their customers who had left items in their online shopping cart and drive them to complete their purchase. The challenge? They didn’t have a way to automatically bring in images of the items that their customers abandoned. Using behavioral retargeting from Movable Ink, Scholastic was able to leverage their customers’ real-time website behavior. Movable Ink automatically pulls in images of items that a customer saved in their shopping cart and customizes the visuals so they are beautiful and on brand for every email. Scholastic created a powerful visual experience that gave customers the nudge the needed to complete their purchase.